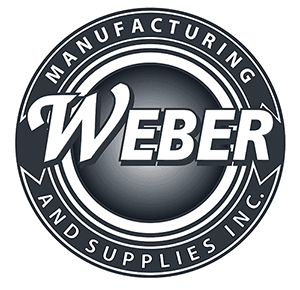 About Weber Manufacturing and Supplies, Inc. In the early 1900s Louis Prost, grandfather to current President Louis Samuel "Sam" Prost, started a machine shop in France. When his son Louis Eugene Prost, Sam's father, moved to the United States from France, it seemed natural that he would eventually follow in his father's footsteps. In 1958, Leon Weber, Sam's uncle, wanted to join his brother in law, Louis Eugene Prost, in the pursuit of the American Dream, but he needed a sponsor and a job in United States in order to do this so the pair came up with the perfect solution, they raised the necessary capital, and together they started L.F. Weber Company in Philadelphia, Pennsylvania. In 1963, wooed by the Florida sunshine, the Weber and Prost families relocated to Venice where they set up shop in a 2,500 sq. ft. building that became Weber Manufacturing and Supply, Inc. as the company is known today. This facility, which started with little more than the 5 pieces of equipment they brought down from Philadelphia, grew into a 10,000 sq. ft. facility. In 1970, Sam Prost joined the family business where he is still responsible for the day to day operations and, in 1985, history repeated itself when Pat Smith, Sam's brother-in-law, came on board. In 1996, they outgrew the facility that housed them for over 30 years and relocated to the current facility. This 15,000 sq. ft. building has 30 major production machines in addition to their finishing and inspection equipment. Throughout the years, Weber Manufacturing has updated and upgraded equipment and quality assurance procedures to meet the growing needs of their clients. Weber Manufacturing can handle most of your precision machining needs including a broad range of secondary operations like threading, cross-drilling, milling, and rolling. However, on occasion, we will resort to our network of trusted affiliates for some specialty services like heat treating, painting, plating or stamping. Having this network allows us to make complicated projects seamless for our valued customers or, if your project is a better fit for one of our associates, we will direct you to the right company for your needs. Our main goal is your complete satisfaction and sometimes that means the right referral. All of our gauges and instruments are traceable to the National Institute of Standards and Technology (NIST) and our Quality Policy & Procedures combined with our expertly trained staff ensure that we will deliver quality products and services on time every time.